Recent findings reported by Dr. Frank Hu, chair of the Department of Nutrition at the Harvard Chan School of Public Health found five key lifestyle factors that demonstrate great potential in extending life expectancy. Many will not be surprised by these fundamental strategies of improved diet and lifestyle: not smoking; a healthy diet; regular exercise; maintaining a normal weight; and drinking only in moderation. Simple strategies, yes, but not followed by the majority of us. According to Hu’s team, only eight percent of American adults meet all five goals. The researchers concluded that although many struggle to lose weight, quit smoking or change their ways, those who actively take personal responsibility for their health can reap remarkable benefits. There’s good reason to adopt these healthy strategies, as researchers estimated that 50-year-old adults who maintain these healthy habits can expect to add a decade or more to their lifespan. That’s good news for Americans in general, as per the World Health Organization (WHO), the U.S. ranks 31st in life expectancy at birth as compared to 35 developed countries. While the global life expectancy is predicted to continue to increase, the U.S. is expected to see minimal gains and was found to be on track for the lowest average life expectancy of all high-income nations worldwide by the year 2030. Healthy societies, it appears, begin with healthy individuals. While the study suggests that poor lifestyle factors have a major impact on health and lifespan, skyrocketing obesity rates, high mortality rates of chronic diseases, and lack of equitable universal health care also contribute to shortened and less healthy life spans in the U.S. The good news is that making healthy changes in adulthood can have a great impact on improving longevity in the U.S. population. The 30-year study concluded that women who maintained all five healthy habits gained an average of 14 years of life, and men who did so gained 12 years, as compared to those who didn’t improve or maintain healthy lifestyle habits. Smoking: In addition to a significantly higher risk of developing lung, throat, bladder, cervical and kidney cancer, smoking increases the risk of high blood pressure, stroke and heart attack. Smoking affects the health of the entire body including the immune, cardiovascular, digestive, respiratory and reproductive systems, as well as skin, periodontal, and dental health. The benefits of quitting begin almost immediately, as the body begins to heal itself. Within just a few hours, the body begins to detoxify, the heart rate normalizes, blood pressure drops, and circulation may begin to improve. After one month, lung function begins to improve, and within one year the risk of developing coronary heart disease decreases by half. After five years, constricted arteries and blood vessels begin to widen, lowering the risk of stroke. In subsequent years, overall health and vitality continue to improve and the risk of developing smoking related cancers drops significantly. Healthy diet: Healthy eating positively impacts physical, mental and emotional health. The typical American diet is low in nutrients, and high in empty calories, unhealthy fats, sodium, processed foods, and added sugars. Following a balanced and varied whole food diet filled with fiber and antioxidant-rich colorful vegetables and fruits, whole grains, and proteins such as legumes and fatty fish, supports a healthy weight and lowers the risk of developing diet-related chronic diseases. A balanced diet provides the nutrients necessary for energy production and supports proper overall health and function. Per the World Health Organization (WHO), a healthy diet can provide protection against cardiovascular disease, obesity, skeletal conditions and some types of cancer. Regular exercise: A minimum of 30 minutes of moderate exercise daily improves heart and lung efficiency, increases metabolic function, promotes a sense of wellbeing, and also helps maintain strong muscles, healthy joints, and good posture. Like any other machine, a healthy body requires maintenance. Physical activity not only reduces the risks of developing obesity and heart disease, it helps to maintain strength, flexibility, balance, and coordination, and can help prevent or reverse the effects of certain diseases. Healthy weight: Many find it difficult to reach and maintain a normal weight. Factors that contribute to an individual’s weight include environment, genetics, metabolism, and behavior. While not everyone agrees that the Body Mass Index (BMI) is a useful measure that works for all body types, in general a healthy weight is determined by maintaining a BMI between 18.5 and 25. By maintaining a healthy weight, one can help control or prevent many diseases and conditions, including heart disease, stroke, high blood pressure, type 2 diabetes, respiratory problems and certain cancers. To reach and maintain a healthy weight, make diet, physical activity, and sleep important aspects of your everyday routine. Alcohol consumption: Moderate consumption equates to no more than one alcoholic drink daily for women and two for men. Overconsumption can take a serious toll on health, affecting mood and behavior, stressing the heart, liver and pancreas, weakening the immune system and increasing cancer risk. Although controversial, some research shows that moderate drinking may be cardio-protective, especially antioxidant-rich red wine, which contains flavonoids such as quercetin and resveratrol. Per the Mayo Clinic, moderate amounts of alcohol of any type is believed to support endothelial health, raise healthy HDL cholesterol and help prevent artery damage caused by high levels of damaging LDL cholesterol. Comparing moderate drinkers to non-drinkers may exaggerate the benefits of alcohol consumption, but the pleasure of having a glass of wine with dinner or a cocktail beforehand likely can’t be overstated. Clinical Nutrients™ Antioxidant by Integrative Therapeutics: This formula provides high concentrations of antioxidant nutrients, including vitamins, minerals and botanicals in support of cellular health and protection. Gluten, dairy and yeast free formulation. 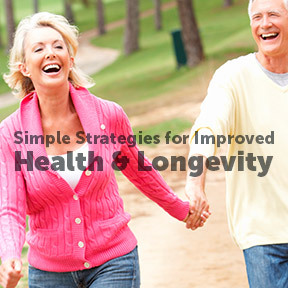 Longevity Nutrients by Pure Encapsulations®: This hypoallergenic, nutrient-rich formula provides highly bioavailable mineral cofactors, activated vitamins, and antioxidants in support of optimal health and healthy aging. Gluten free, Non-GMO, vegetarian formulation. Ultimate Antiox Full Spectrum by Designs for Health®: This potent formula blends well-researched antioxidant compounds with botanicals and spices for comprehensive, full-spectrum antioxidant protection. Gluten, soy, dairy and yeast free, Non-GMO vegetarian formulation. Ultra Anti-Oxidant by Douglas Laboratories®: This low-allergen formula provides a wide spectrum of nutrients that actively participate in free radical defense. Gluten, soy and dairy free formulation.